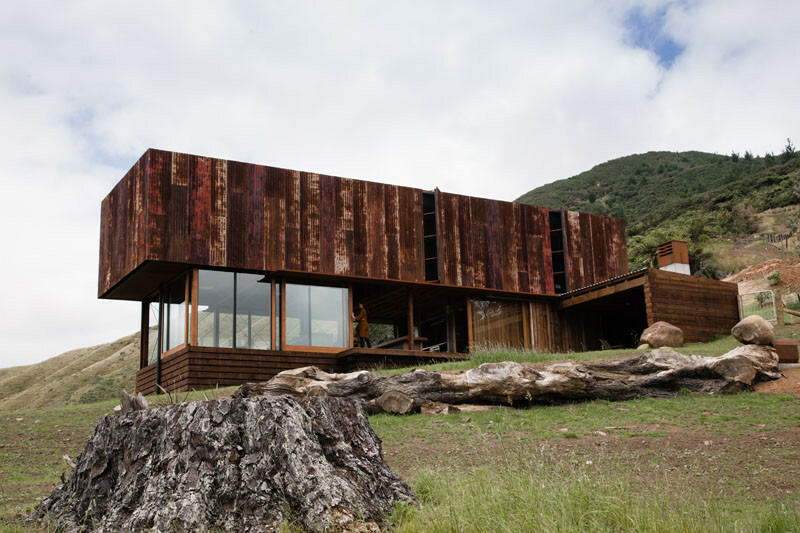 Herbst Architects were approached by their clients, a director and camera operator in the film industry, to design a house for them that would be a retreat to relax at between filming. 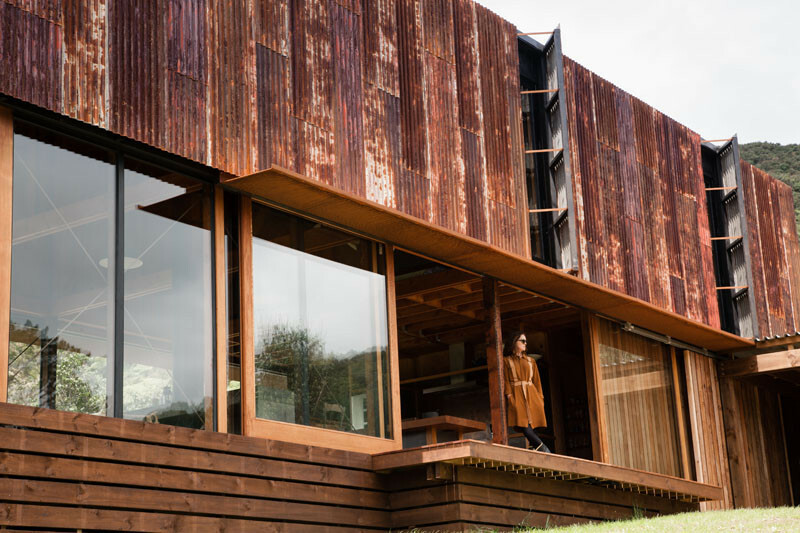 Apart from them wanting a retreat, they also wanted to have a home that engages with the site, and to be built from materials that have a patina of age, of sustainability, of recycling and adaptive re-use. 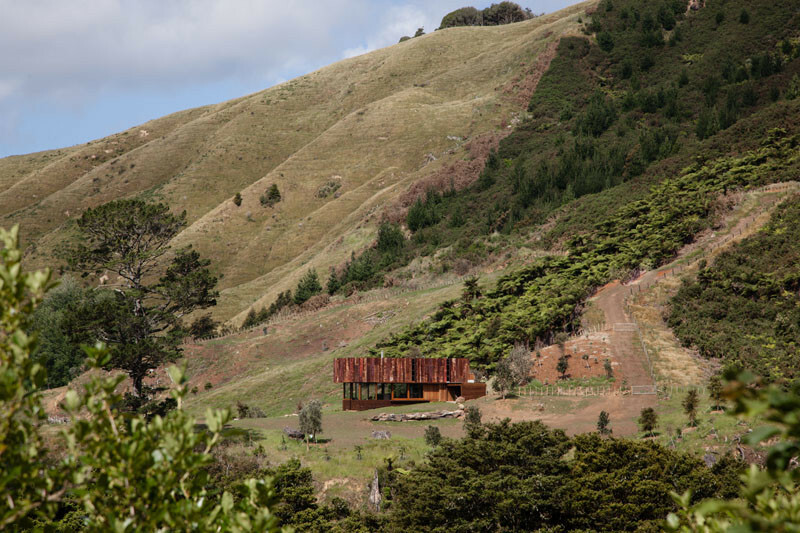 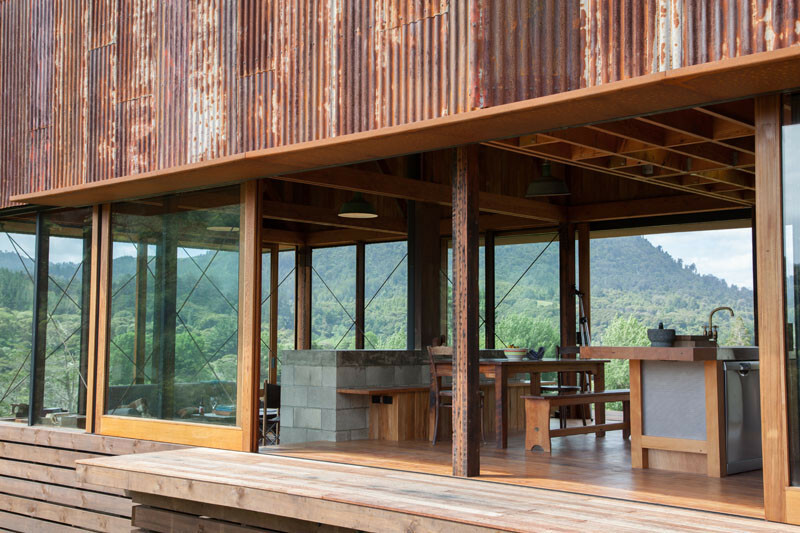 The home, which is located on 20 hectares of farmland on the Kauaeranga River in New Zealand’s, Coromandel Peninsula, has a panoramic view of the surrounding valley. 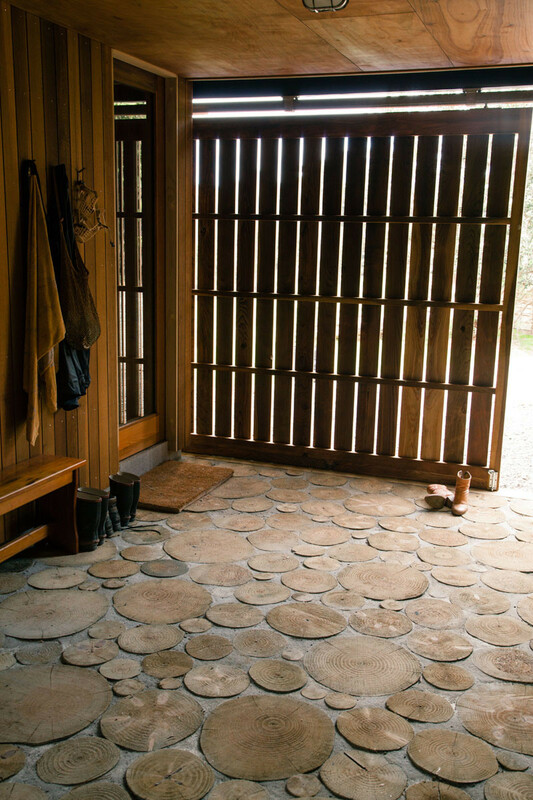 Stepping just inside the home, there’s a room with a floor of tree slices. 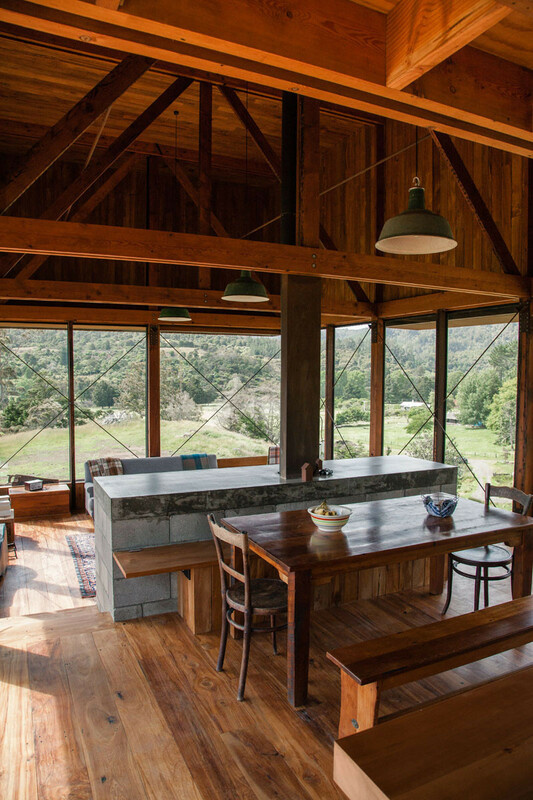 Inside, the living area is stepped down from the dining room. 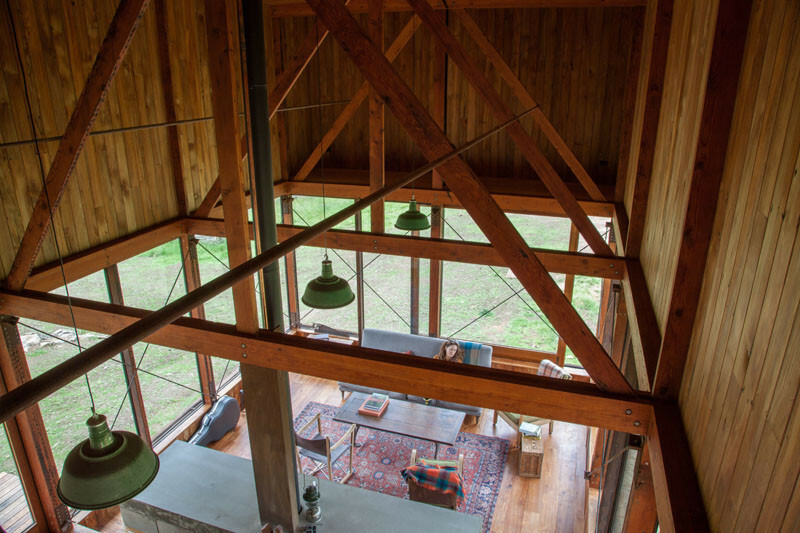 Here’s a look at the internal structure of the home from the loft. 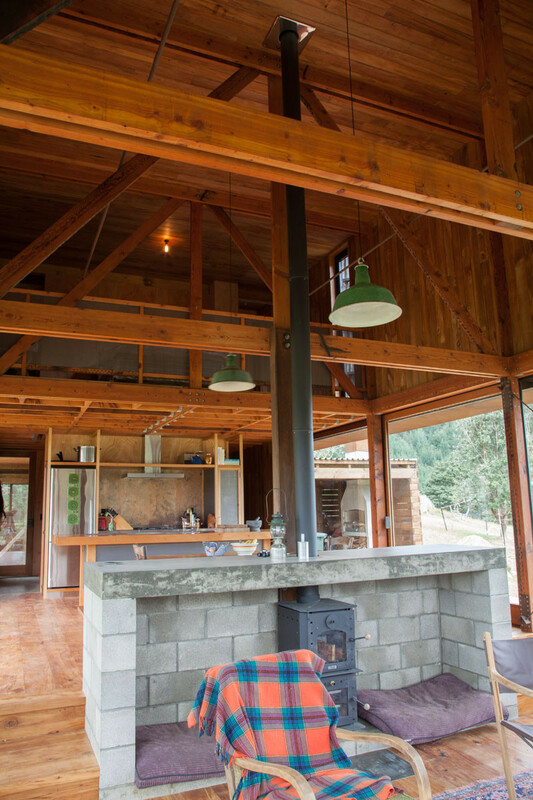 A centrally located fireplace makes the home cozy, especially after a day working on the farm, where they live a life of self-sufficiency, including growing, animal husbandry, and butchery. 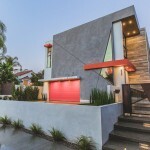 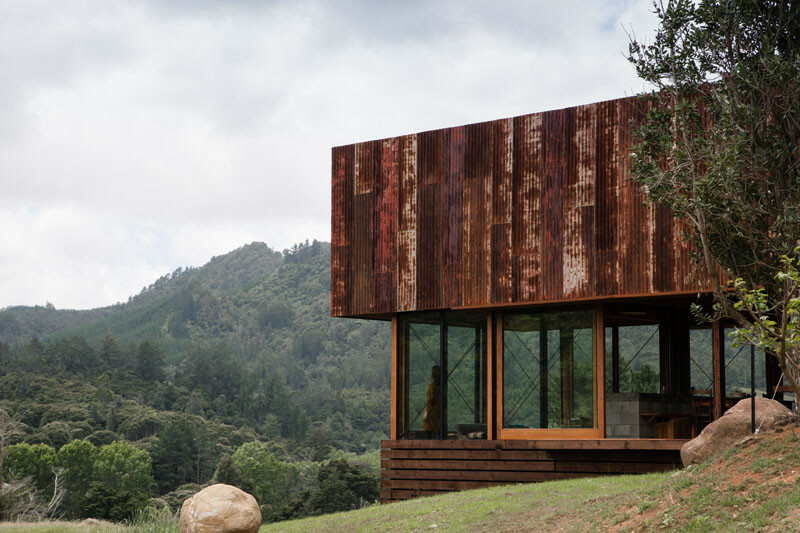 The home has large sliding glass doors that open up to the outdoors. 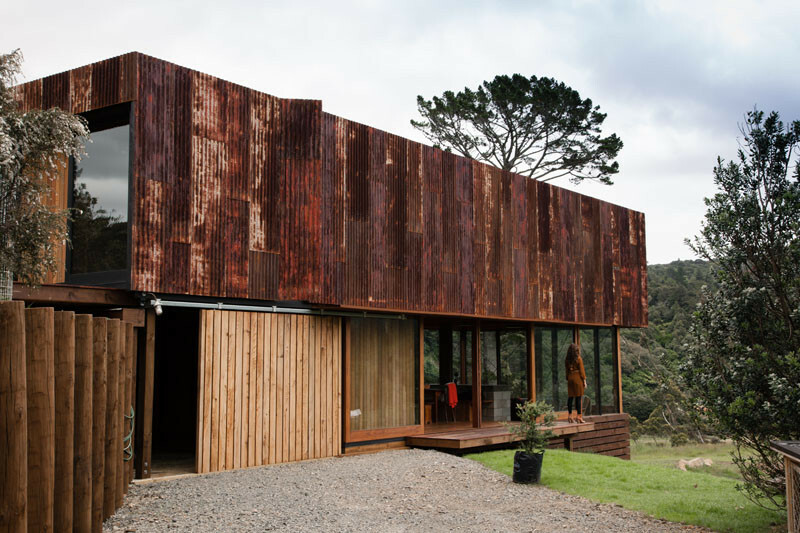 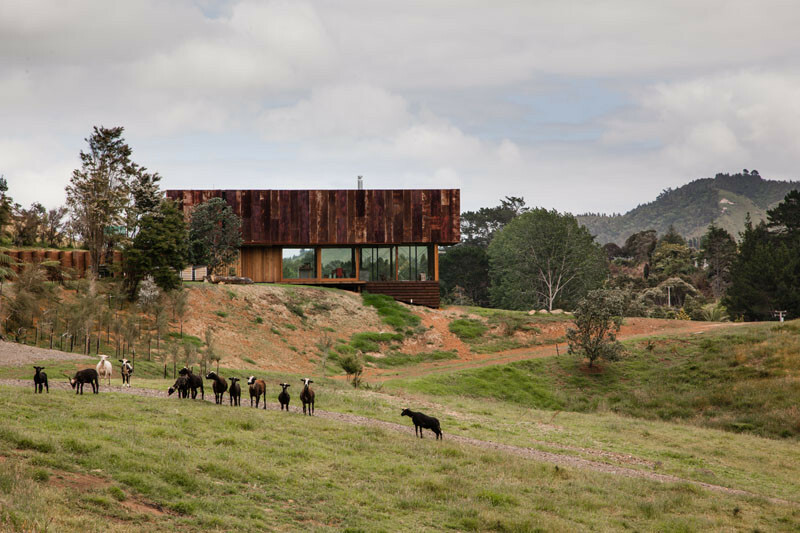 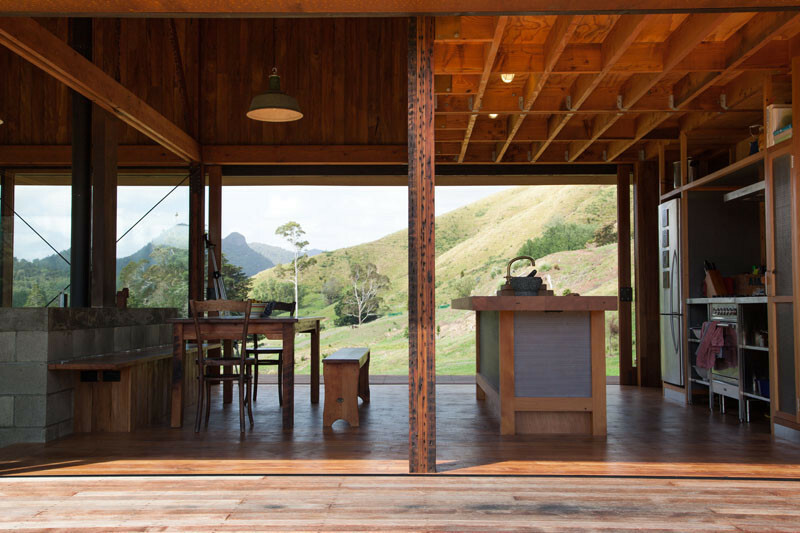 An example of the patina they requested, is the home being clad in a rainscreen of rusty corrugated iron sheets, kind of like a rural camouflage, which the clients procured over the duration of the build. 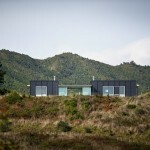 Here you can get a better view of the hillside farmland the home is located on.